Ivannow Wladislaus von Dziarski-Orloff (1864-1904) was billed (among other things) as the Transparent Man, or the Human Window Pane. In addition to completely atrophied limbs, he had skin you could see through, showing all the blood vessels at work. It was also said that you could shine a light through him. 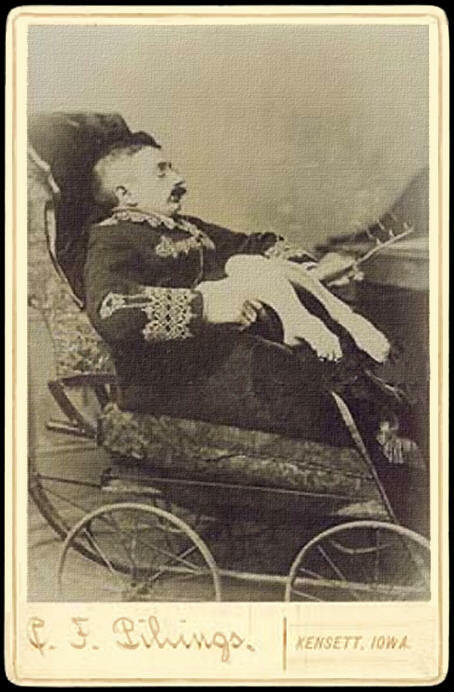 Born in Budapest, he enjoyed a normal childhood, but then began wasting away at age 14. The condition caused him great pain, for which he took opium, which became a kind of trademark. 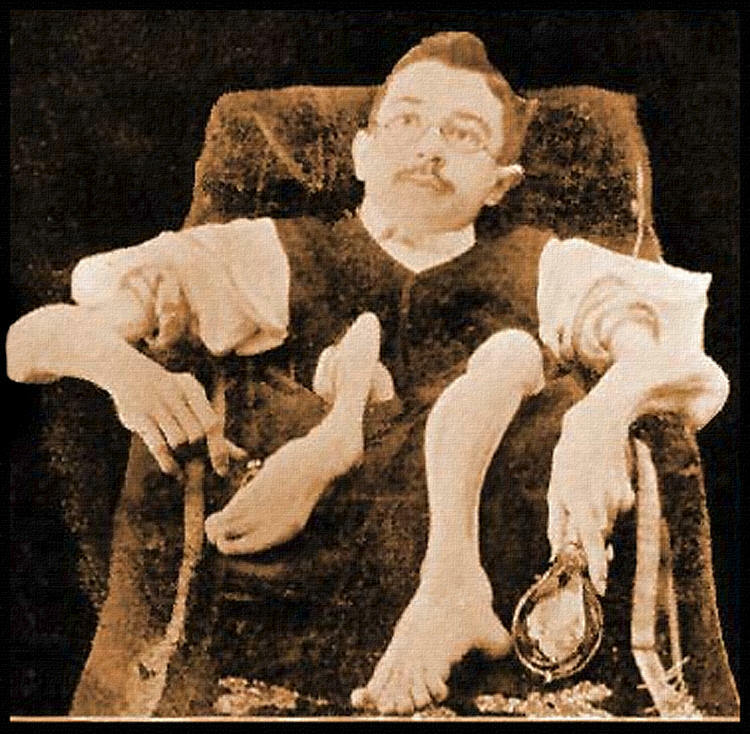 He was frequently also billed incorrectly as an ossified man, but rather than being stiff, immobile and brittle like Jonathan R. Bass, he was bendable as though he had no bones, something of an opposite condition. 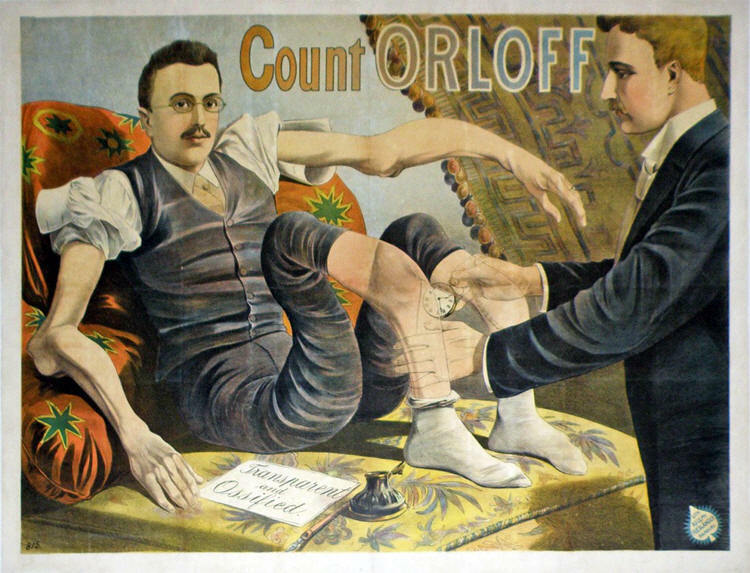 After being exhibited in medical schools in Europe, he toured the U.S. with his own sideshow.